October is such a crazy month around here. We spend the weekends trying to fit in all our Fall fun before the weather turns, plus what seems like a million birthdays and soccer games. I did manage to get a bit of sewing in last week though. 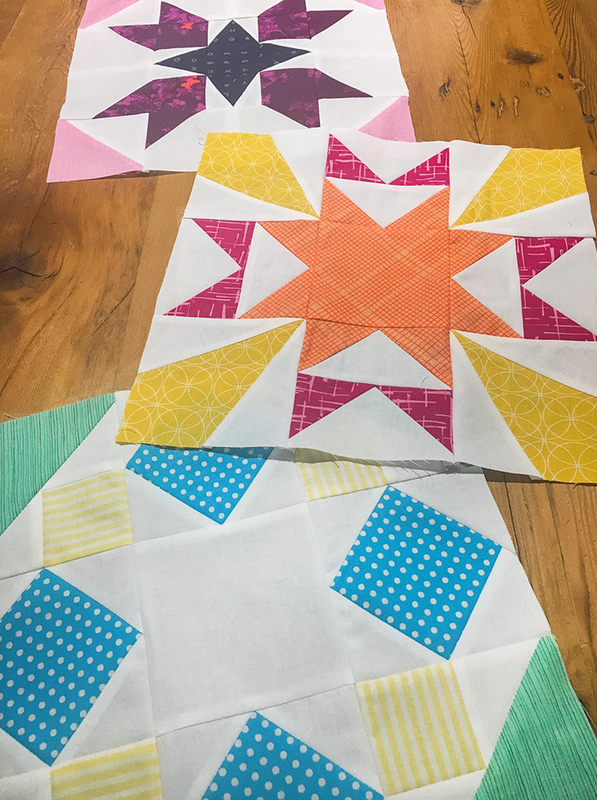 I added three more blocks to The Quilt Block Cookbook quilt and I am so happy I did! You may remember my initial quilt top with six quilt blocks. I decided it needed to be a bit larger, so I pieced three more blocks from the book. I really love the colors on this one. My goal this week is to baste and quilt. Hopefully I have a finished quilt to share with you by Friday!